Finally, I succumbed to my first yoga class because it was a high school graduation gift, and I felt bad saying no! I will never forget coming out of that studio, feeling “yoga stoned” and asking my Mum if yoga always felt like this. I now know it does. It wasn’t until I moved to Los Angeles 10 years later that I felt the pull of a committed, meaningful yoga practice. Without knowing anything about the spiritual or philosophical side of yoga, I ramped up my asana practice and began to feel a shift, just from getting on my mat regularly. Even moving overseas didn’t deter my asana sessions. I moved to Australia in 2012 with one bag, a computer and a DVD box set of yoga videos to keep me busy. I hadn’t ever considered the deep connection between yoga as I knew it (only the physical asana) and the deeper psychological intelligence and emotional study that the practice makes available. Fortunately, I got a taste of this well-rounded yoga approach when I discovered Power Living. I was intrigued…so intrigued that the itch to learn more was too strong to stay away! I signed up for my 200hr teacher training course simply to learn more, dig deeper and to find out if there truly was a connection. I never had the intention of actually becoming a yoga teacher but the universe clearly had a different plan! After my first year of teaching, I wanted to find a program to upskill my knowledge in intelligent sequencing, so that I could take my classes to a new level. What I found in the Power Living Advanced Vinyasa program was a deep dive through the HOW’s and WHY’s of placing poses in a specific order to achieve a myriad of physical, emotional and energetic results. Coupled with the asana education, I also gained great insight on how to build a philosophical theme and seamlessly weave it into a vinyasa class. Yoga philosophy has always been a love of mine and after learning Duncan’s method for delivering a clear WHAT, WHY and HOW of a philosophical concept, I know my words now have more structure and depth. The best thing about all this new knowledge is that I completed the program and was immediately able to implement what we learned! I received immediate feedback from my students that something was ‘different’ and they loved it! Building classes are now less of a challenge and more a joyous exercise, knowing that I’m taking my students on a journey for a specific purpose! Interested in taking your yoga teaching certification to the next level? Power Living offers a truly unrivaled 500hr yoga teacher training pathway. You get the choice to dive into the yoga subjects that matter to you most, and come out a stronger, more qualified yoga teacher. 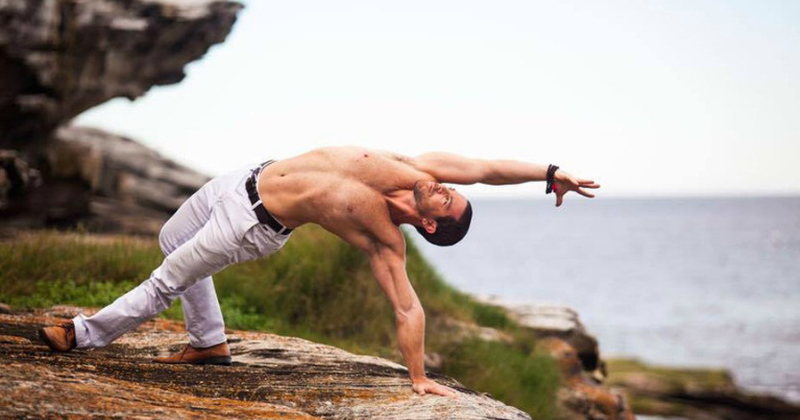 We have an upcoming Advanced Vinyasa 5-day workshop in Sydney with the Founder of Power Living, Duncan Peak. You don’t want to miss this chance to learn from the best! Learn more here, happening 6-10 May 2019 in Sydney’s Alexandria neighbourhood.